Today is the start of Fair Trade Fortnight! We had an exciting assembly presented by the Global Neighbours and Miss Tait. The focus this year is coco and the role of women in the production of chocolate. 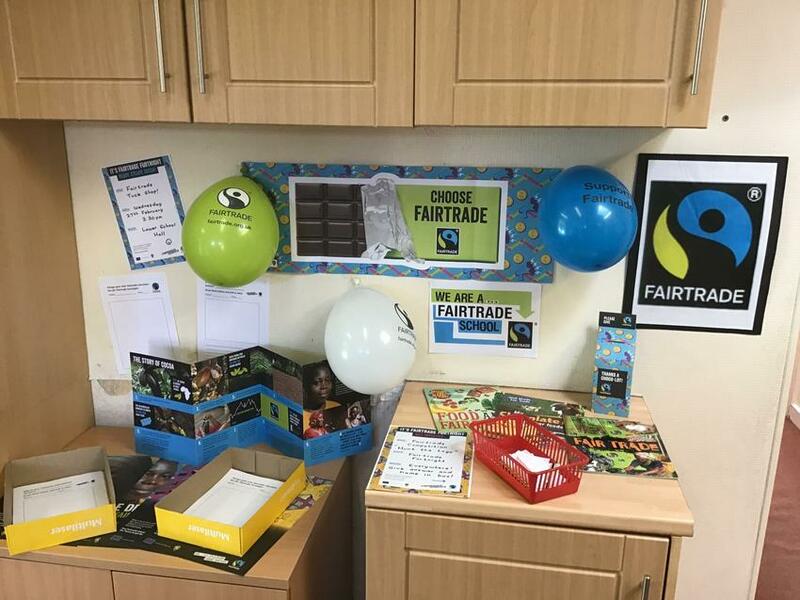 As part of Fair Trade fortnight, there are going to be some different activities for children to have a go at and even some prizes up for grabs! The Global Neighbours will be holding a Fair Trade Tuck Shop on Wednesday after school in the lower hall for anyone who wants to buy any Fair Trade products. All shoppers will automatically be entered into a raffle with a huge Fair Trade hamper as a prize which was kindly donated by The Co-op in Norton. Well done to the Global Neighbours for all of their enthusiasm and hard work - we are really lucky to have such an active and inspiring group as part of our school. We look forward to an exciting (and chocolate fuelled) fortnight!